It stays remarkably still – the elevator at the Grundfos dormitory at the Port of Aarhus. In a full scale laboratory the researchers have carried out one of the world’s most radical energy monitoring experiments for a period of three years. 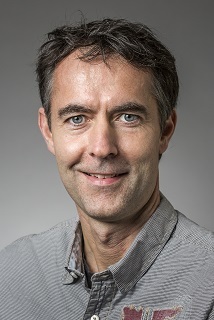 Together with his research colleagues, Associate Professor Jacobsen has been studying the extent to which the energy consumption of a group of residents can be influenced by providing them with information about considerate behaviour and appealing to their conscience. Today, the vast majority of new buildings are constructed according to standards that ensure a very high level of energy efficiency, so it therefore makes good sense to look for the potential for energy savings entirely elsewhere. “If we want to reduce energy consumption in extremely energy-efficient buildings, there’s no point in looking at whether we can squeeze in an extra layer of insulation. On the contrary, we should be taking an interest in the part of the energy consumption the residents themselves are responsible for. The major challenge is to highlight the consumption and thereby help them to adopt behaviour that’s adapted to a lifestyle with power from sustainable sources,” he explains. Facts about energy composition, supply and demand were used by the researchers in the project. They also collaborated with anthropologists on mapping the factors that have an impact on sustainable energy behaviour in humans. To measure the ratio between the use of the stairs and the elevator by the residents in the high-rise building, the researchers used small sensors on the doors between the stairs on each floor. During the ‘red’ periods, they registered increased activity on the stairs, and this was even higher than they had expected. An elevator is typically responsible for about five per cent of a building’s total energy consumption, and the small warning lamps can therefore have a relatively large impact on the aggregate level, according to Associate Professor Jakobsen.